"The Sickener” Extremey bitter. Causes vomiting. Fruity odor. Stipe white, often long. Grows in sphagnum moss. 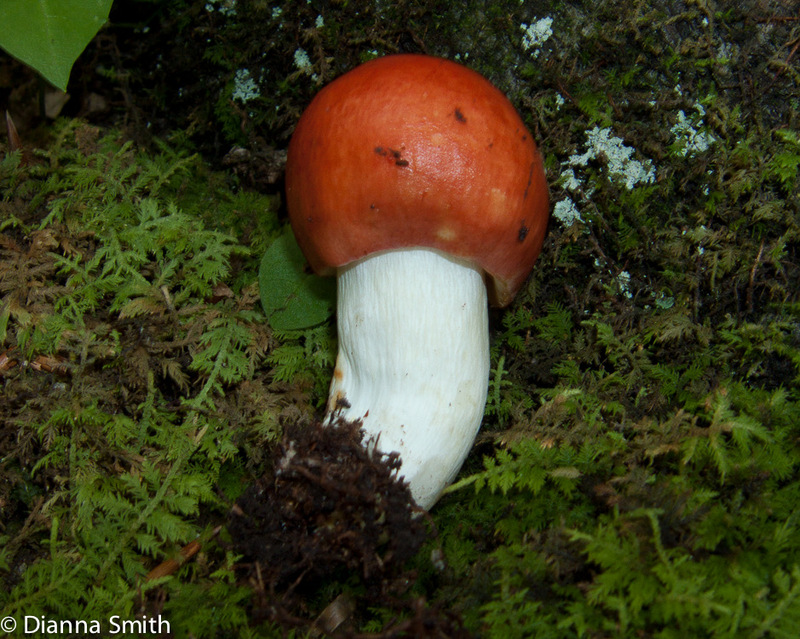 The name Russula emetica is frequently applied to any red species. While it is true that most red species are equally ‘hot’ and may cause gastrointestinal problems if eaten, the chances of any one red russula being Russula emetica are relatively small. There are at least 125 species of red russula in the northeast. In many cases, it is impossible to assign an accurate name to a particular find without doing further analysis.